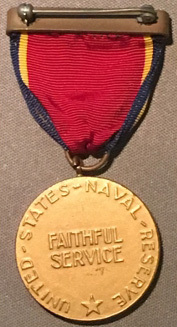 Navy Reserve Medal was authorized by SECNAV in September 1938. 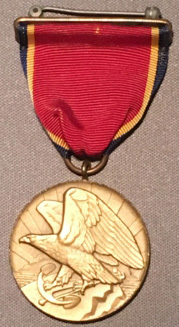 Awarded for 10 years of unbroken service in the Navy Reserve. On 12 September 1958, the Naval Reserve Medal was declared discontinued and was replaced by the Armed Forces Reserve Medal. Designed by Thomas & Brannan.